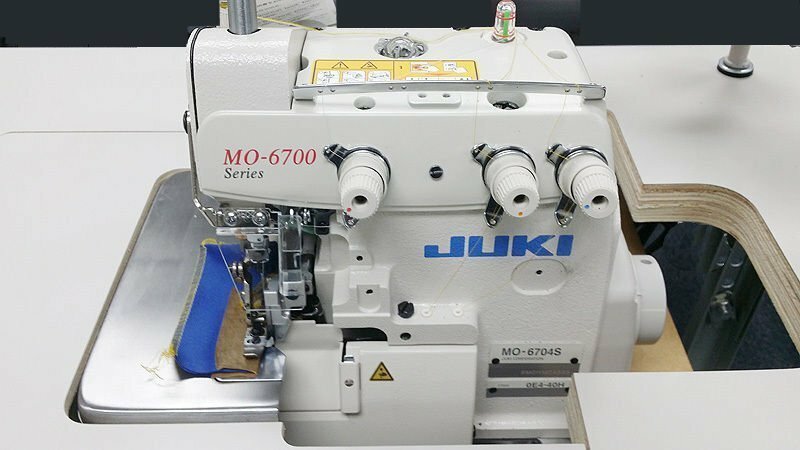 The MO-6700S Series responds to various kinds of sewing materials and processes, producing delicate and beautiful soft-to-the-touch seams while further reducing operating noise as well as increasing durability. This is a highly advanced cost effective machine. BRAND NEW! FULLY ASSEMBLED with NEW TABLE, NEW STAND and SERVO MOTOR. The MO-6700S Series is a new and powerful Overlock -Serger machine that has been developed to offer increased reliability and ease-of-use, while upgrading seam quality at higher sewing speeds. It responds to a wider range of materials and processes to finish high-quality soft-feeling seams. With the operating noise having been reduced and increased durability ensured, the cost-effective MO-6700S Series is a leading machine in the new era.